A small country town in New South Wales has released a heartwarming music video promoting its charms as part of a campaign to lure GPs to their community. Staff at Temora Medical Complex, located in 418km south-west of Sydney, launched the ‘Great Quack Quest’ in hopes of bringing more doctors to the town of more than 4,000 people, where there are currently only eight. Of those doctors, three are expected to retire in the next five years. ‘This is a pre-emptive strike before we hit a crisis. 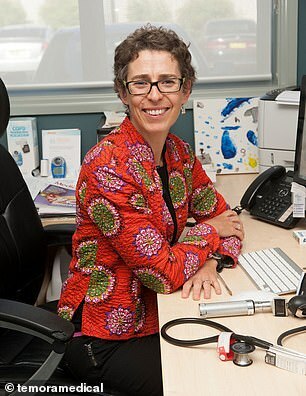 Sadly, many regional communities are now at crisis point and it’s not easy getting doctors to regional areas,’ said local GP-obstetrician Rachel Christmas, who spearheaded the campaign. The video, released on Wednesday, is perhaps the campaign’s most entertaining approach, after having put out several ads in the papers. It features professional performers as well as medical staff and locals, singing and dancing around town while highlighting Temora’s culture. The project was funded by a $5,000 grant from Temora Shire Council and so far, the video has drawn positive reactions. ‘It’s ruffled feathers but in a great way. Drawing in new GP’s is a challenge for many regional communities, so we hope everyone will watch the video, share it and help this serious message out to as many people as possible,’ Temora Shire mayor Rick Firman said. Residents who were keen to join in on the fun were able to get involved by responding to a casting call in the local paper. The video featured a cast of around 100 and was shot over three days by Blue Clay Video and Marketing Creatives. TMC launched the Great Quack Quest last October seeking medics from general practice through to hospital and specialist care.